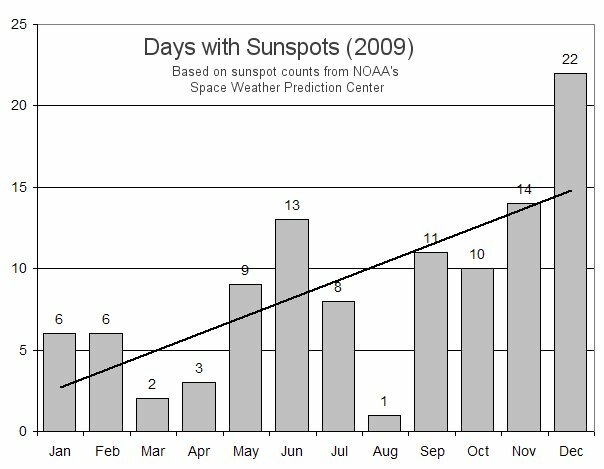 Summary: After a two-year lull, solar activity is picking up again. 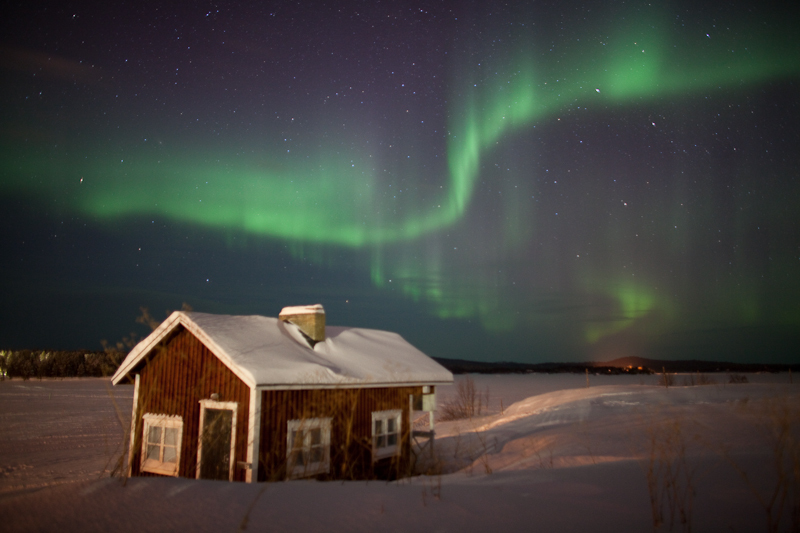 The increase could herald brighter displays of Northern Lights in 2010. Stay tuned! See also Jan. 2010. 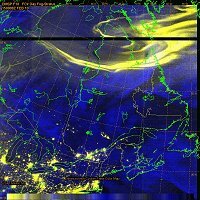 This image was captured by the DMSP F18 Operational Linescan System (OLS) on Feb 15th, 2010. This is a visible/infrared multispectral satellite image - showing a vigorous Auroral event in northern Canada. 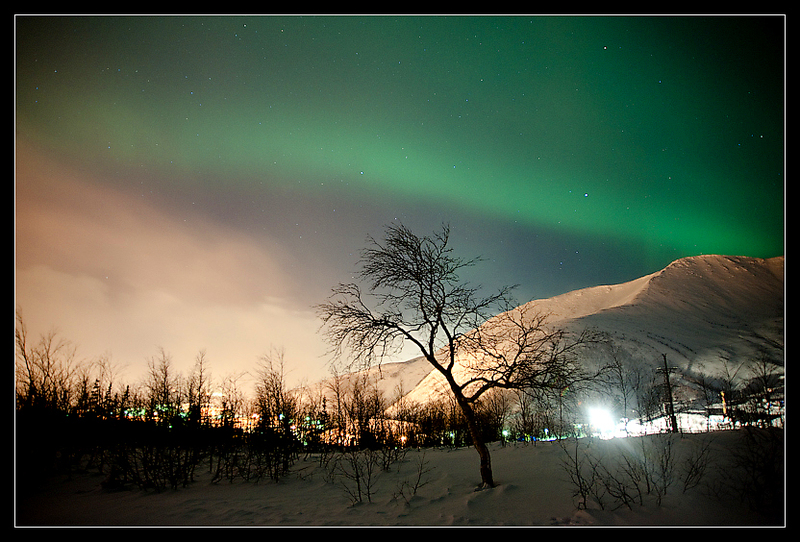 The infrared picks up regular clouds in the blue color, whereas the city lights and aurora are shown in the red and green colors. 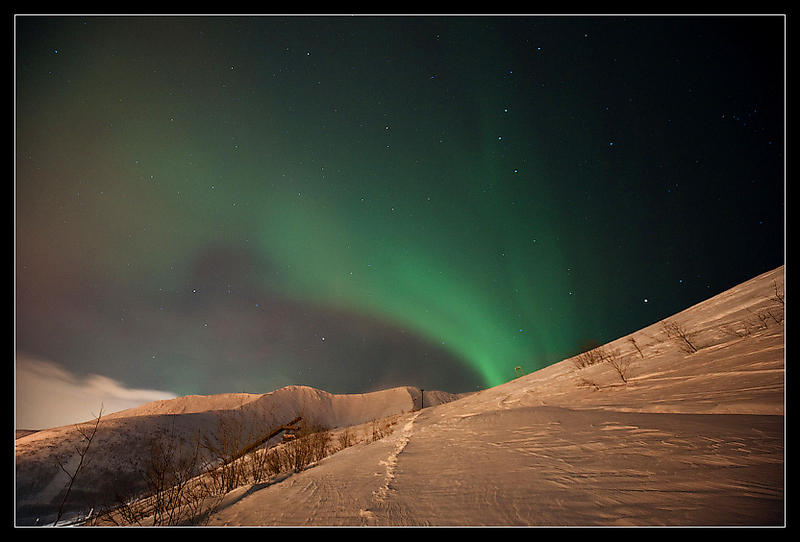 Since the OLS cannot detect the thermal emissions of the aurora, we see only yellow with the aurora. 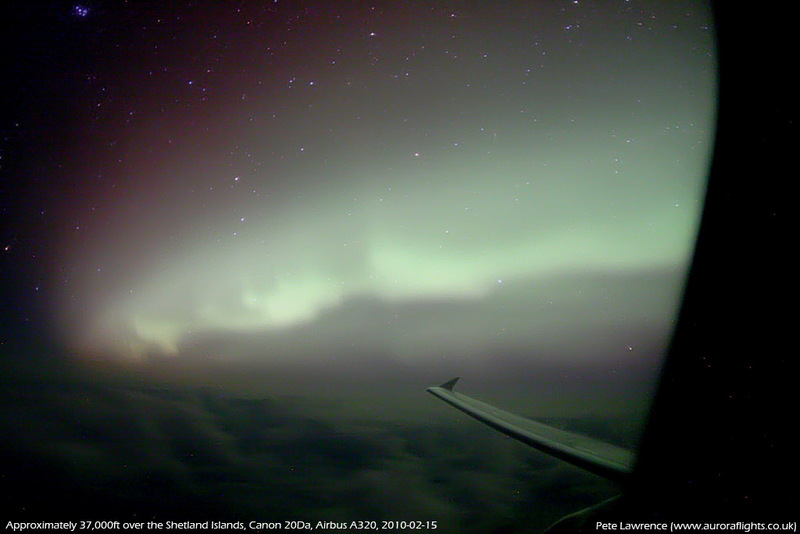 Approximately 37,000ft above sea level, in the vicinity of the Shetland Islands. 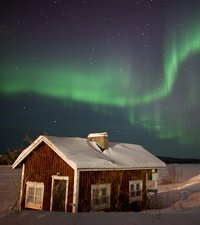 I was lucky enough to be on a speciality flight to see the Northern Lights on the night of February 15th. 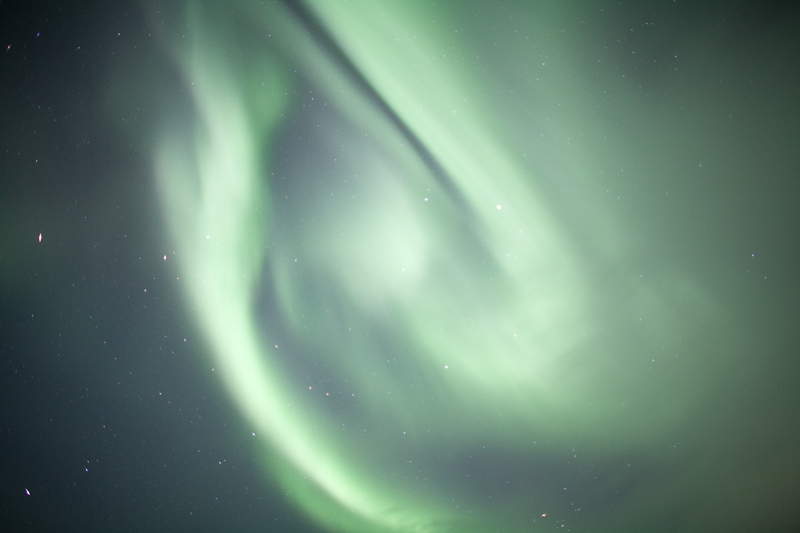 The display was awesome and completely occupied the view, illuminating the fuselage and clouds below us in an eerie green light. 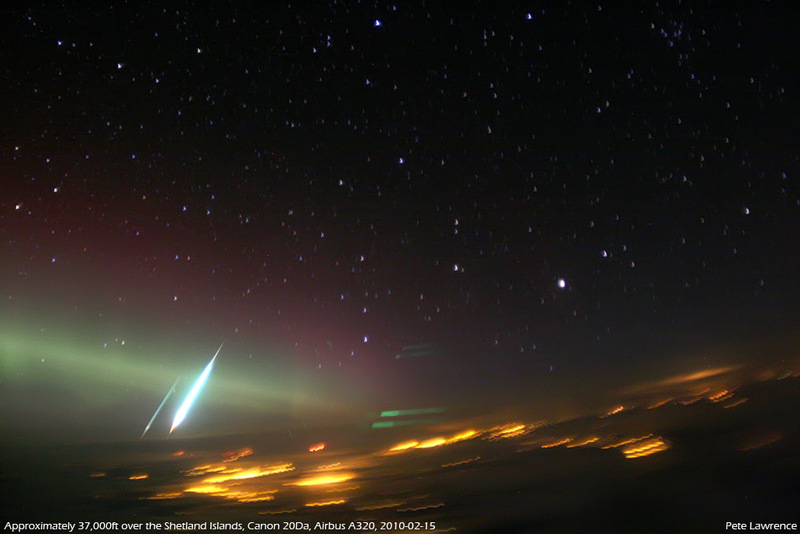 Just to complete the scene a brilliant fireball streaked down towards the horizon, appearing to cut through the eastern part of the auroral arc. What a night!! 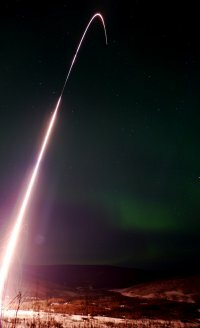 If you're wondering why there are two fireball trails, the main one was so bright that it left a noticeable reflection in the plane window! 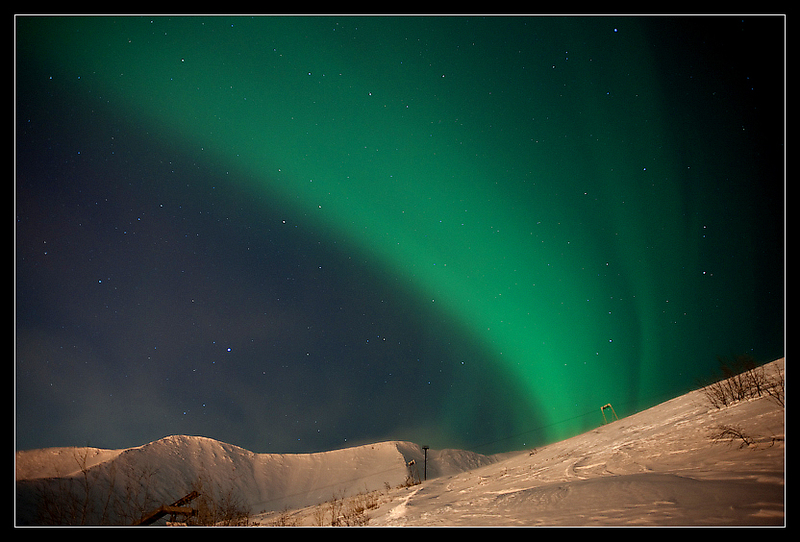 This is the launch of the Correlation of High-Frequencies and Auroral Roar Measurements (CHARM II) rocket mission. 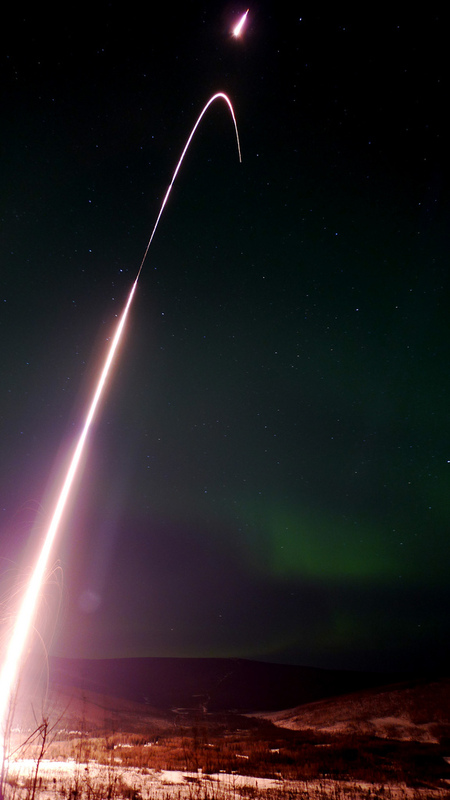 We launched from Poker Flat Research Range in Alaska, at 9:46 UT, 16 Feb 2010, flying a Black Brant XII sounding rocket into some of the best aurora seen in years. This mission was a collaboration between Dartmouth College, the University of Iowa, and the French National Center for Scientific Research (LPCE-Orléans and CETP-Vélizy). 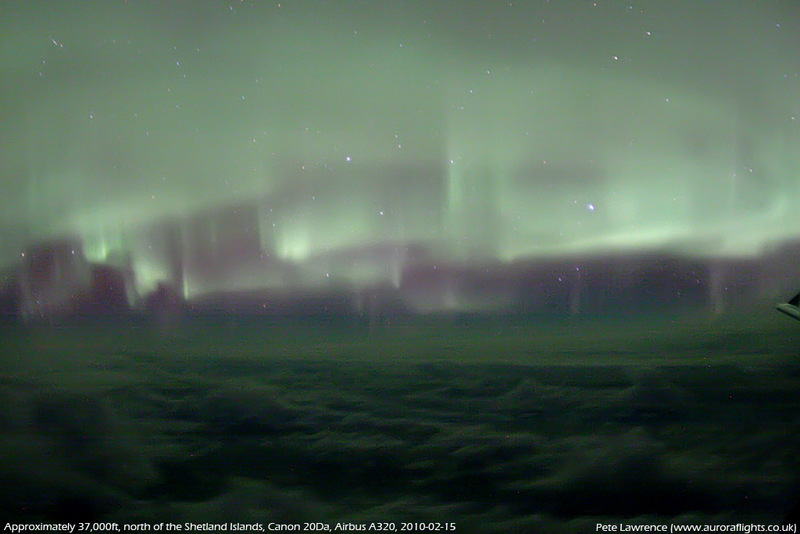 The main science goals of this mission are to gain correlative data linking high-frequency Langmuir waves in the active auroral ionosphere with the energetic particles stimulating the waves, and to perform high-resolution, high-frequency measurements of the auroral roar. Though much analysis remains to be done, preliminary inspection of the data says that the mission was a great success. 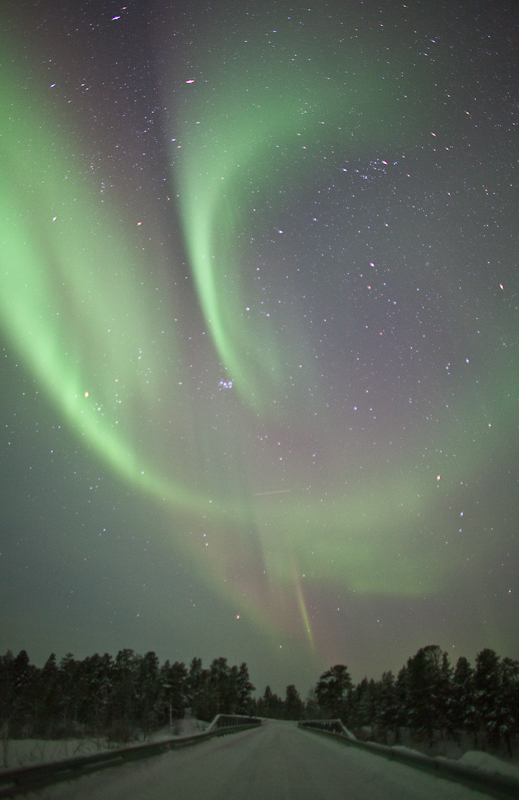 Much thanks to the NASA NSROC, NEMS, and PFRR teams, and Nature for such a great show! Photo details: Canon 5D Mk II, Canon EF 1.4 lens, Gitzo Tripod. ISO 800, Exposure Time 15s. 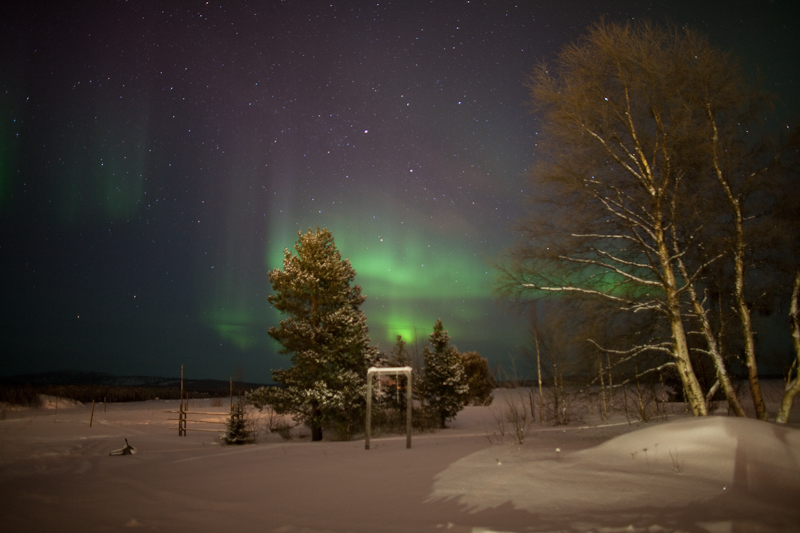 There was a lot of cloud over Inari tonight, and frequent flurries of snow. 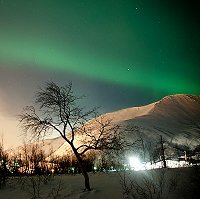 Our patience paid off, however, as we were treated to a show of the 'Northern Lights', which lasted for approximately 45 minutes.